We flew down to Tunisia for a week in September exactly a year ago. 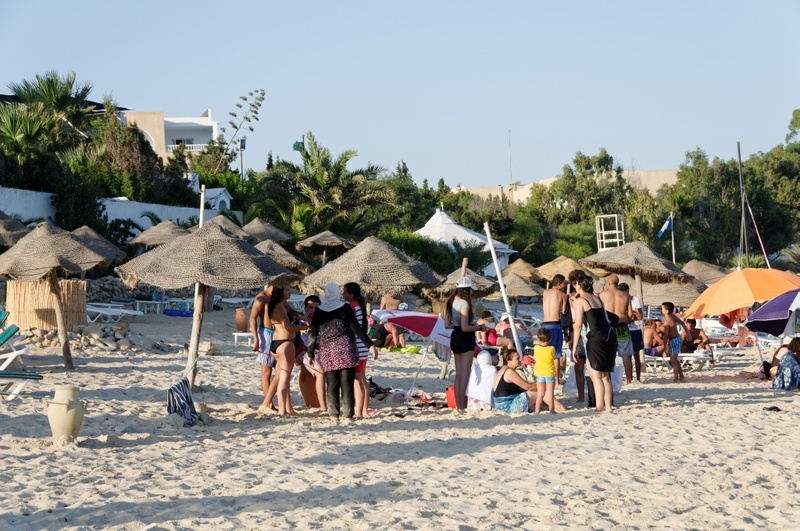 I’d planned to write about Hammamet’s lovely laid back tourist vibe, the gorgeous beaches and how much fun it was viewing the Mediterranean from the Africa coast for the first time. 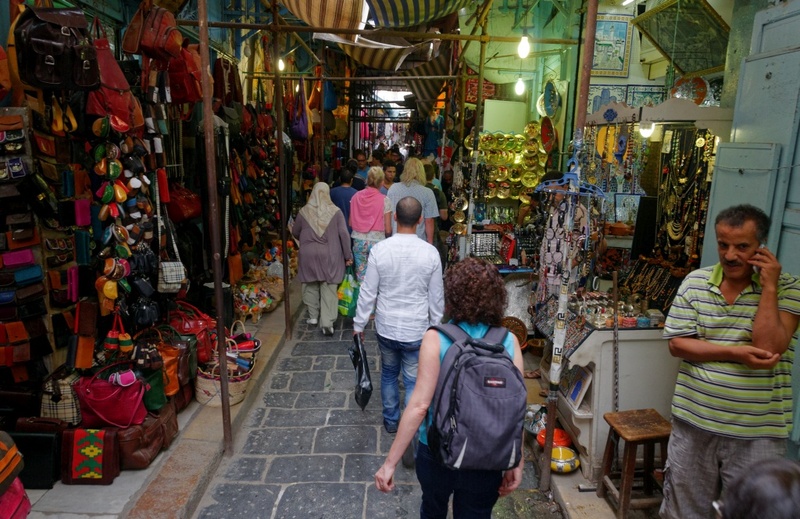 I didn’t want to obsess on the fact that a few weeks later terrorists shot tourists in a museum down the road from the souk we visited. I definitely don’t want to think about the beach where tourists from around the world were murdered in cold blood this summer. It’s less than 30 kilometers (20 miles) from the hotel we stayed in. “The tourists are international. Every body size and shape, every age is represented. 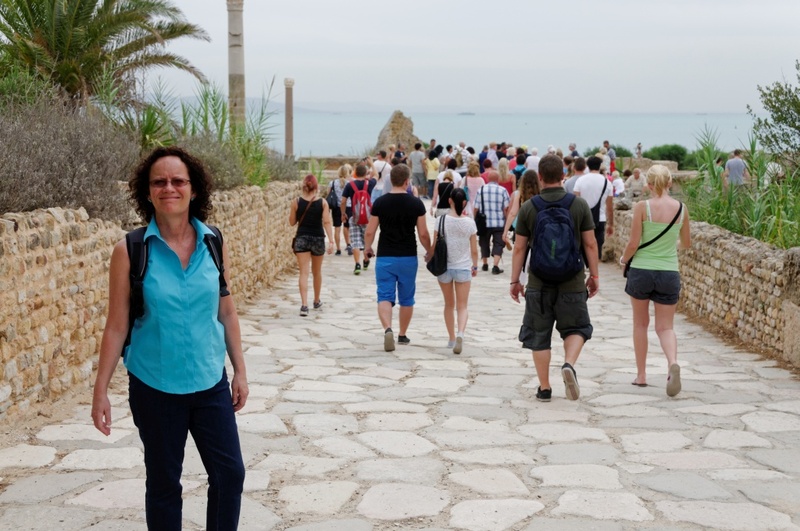 We see groups of Italians, French, Egyptians, Algerians, Germans and Brits. Women in black leggings, head scarves, and long sleeved tunics sit by the pool. Two men (young Arab males) hold hands and spring into the pool at a running jump. Kids run and play everywhere I look. Old folks in wheel chairs are pushed by family members. 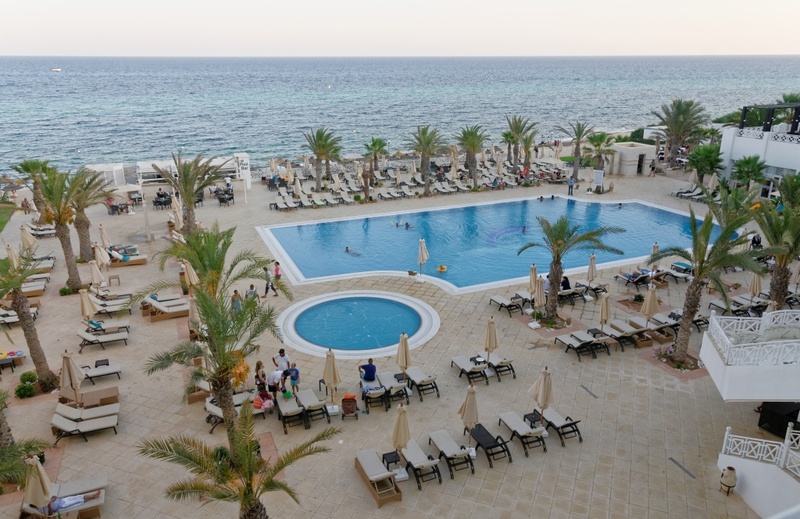 The French and Italian tourists live up to their reputations with their rule of remaining poolside until 6 p.m. Then they go to change for dinner at 7. 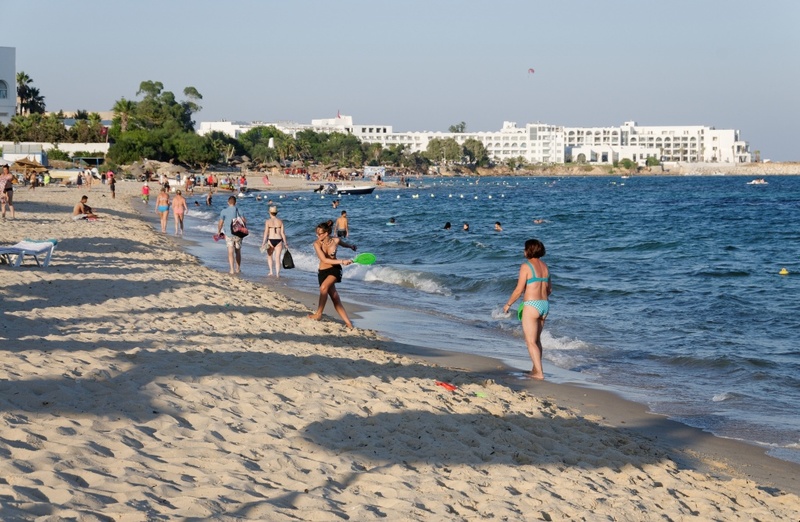 Our hotel was about twenty minutes from the center of Hammamet. and harissa and couscous spices at an outdoor market. Touristy? Sure. But here are more of my notes from that week: “Everyone smiles and says hello in the hotel. We’re all here to relax and co-mingle. I have the lovely experience of being welcomed as an American – and when was the last time that’s happened lately – the locals intrigued to learn where I’m from, and even more intrigued to hear that I live in Europe. 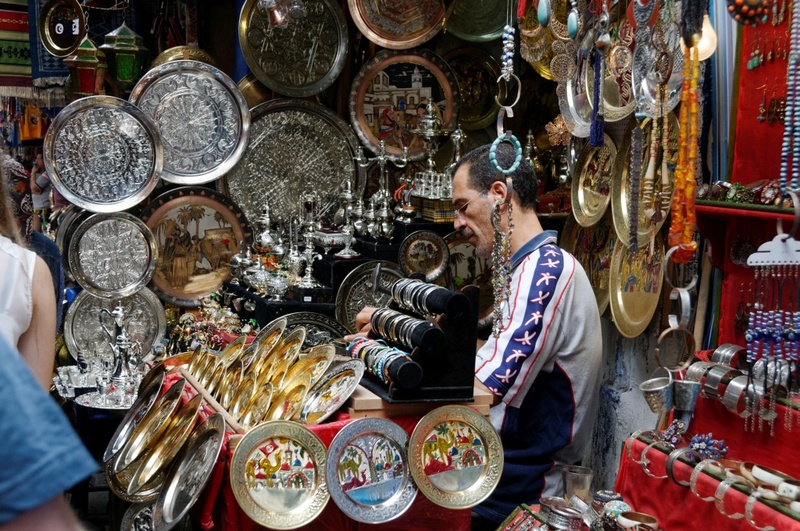 We learn that Tunisia’s population of 8 million has swelled by an additional 2 million people displaced by wars. 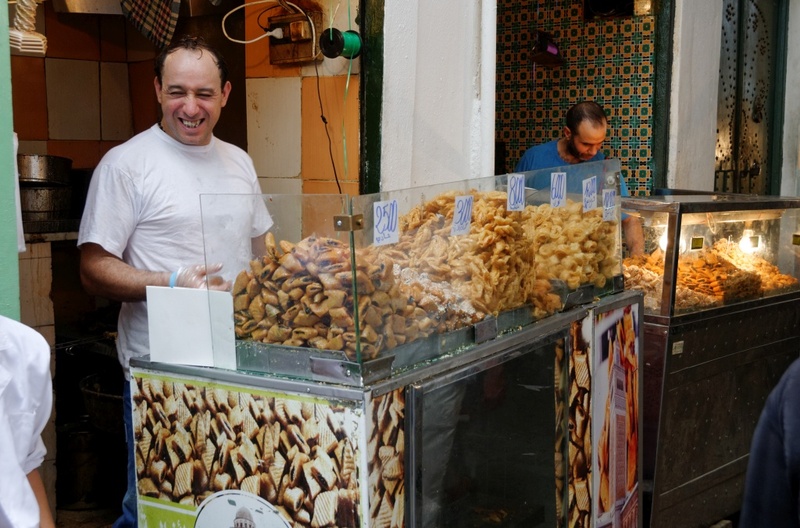 Tunisia is a democracy in an unstable part of the world. 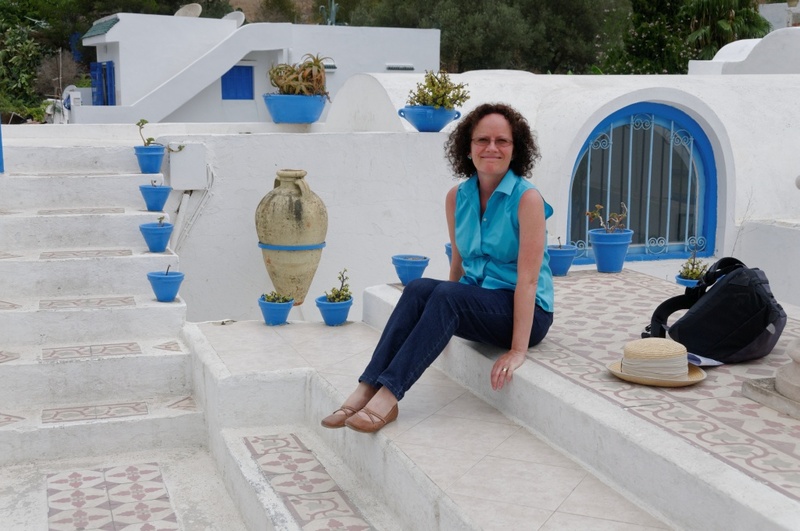 The Tunisians on the coast are hospitable, curious, worldly. And I want to go back. 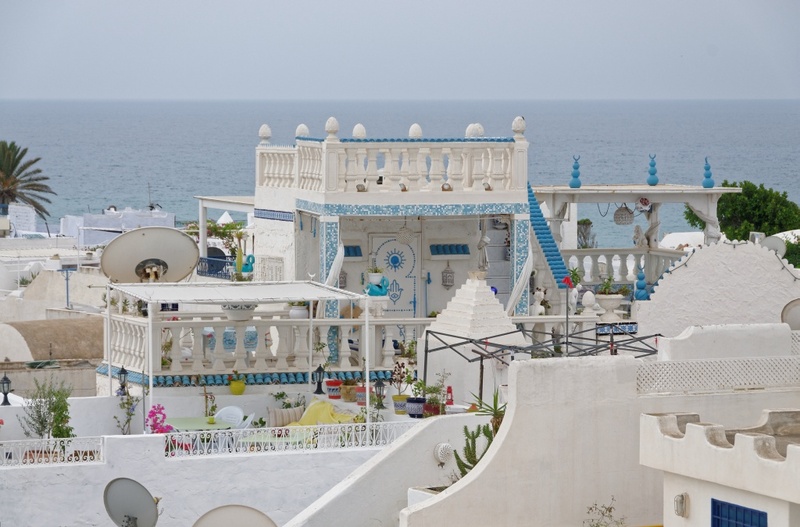 I want Tunisia without terrorism. 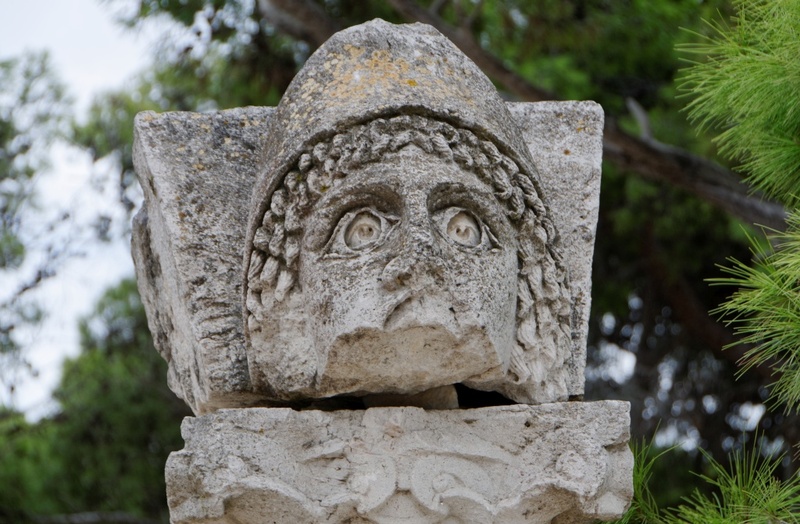 Carthage made the fatal mistake of challenging Rome. The Romans burned it to the ground, killed all the men and sold the women and children into slavery. Then, to make sure everyone got the message that it was a really bad idea to go against Rome, they sowed the area with salt so that nothing would ever grow again…. 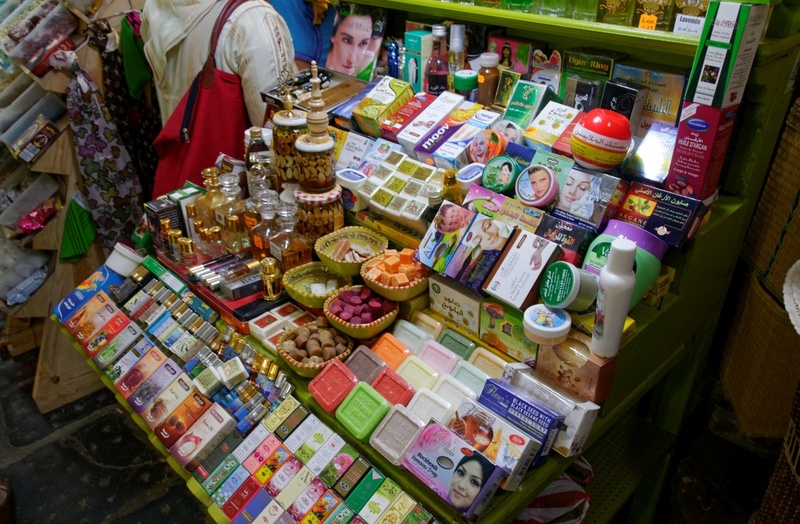 The shopkeeper held a lighter to the bottom to prove that they were made of camel and not plastic. Photos Copyright © 2014 Uwe Hartmann. All photographs can be enlarged by simply clicking on the image. 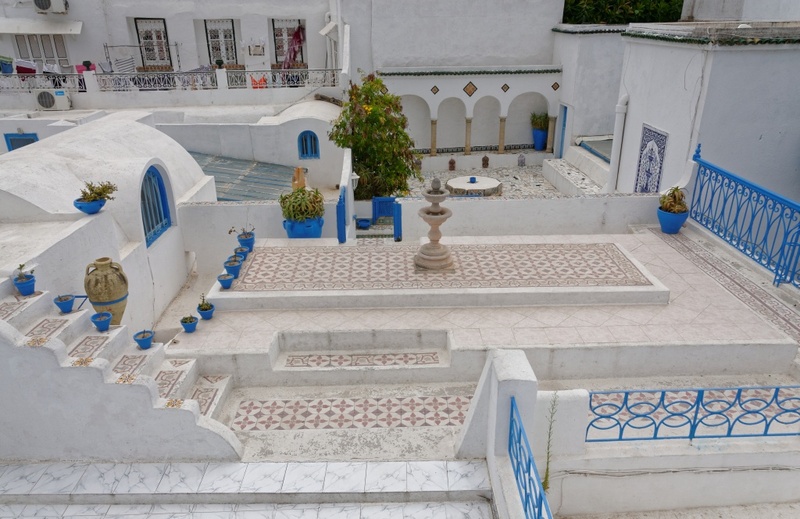 More of Uwe’s images from Tunisia and our trips to North Africa and his photography may be viewed at viewpics.de. 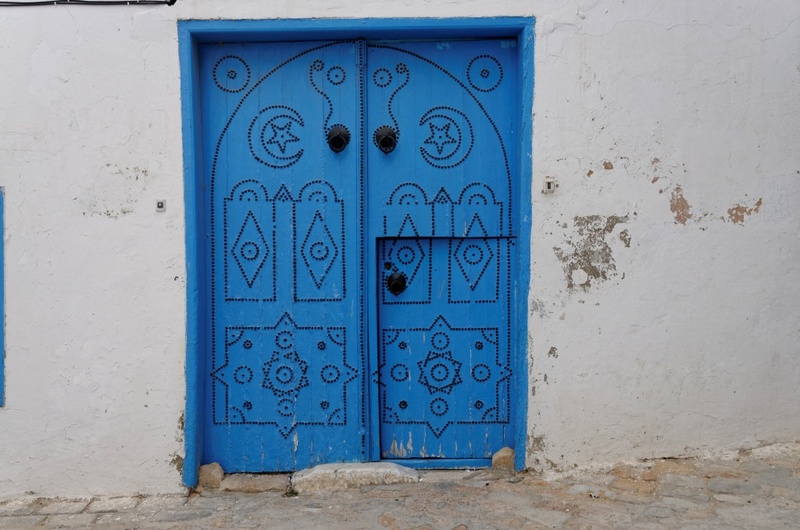 This entry was posted in archaeology, Art of Tolerance, Carthage, Culture, Food, Hammamet, History, Holidays, Islam, Religion, Travel, Tsunami Cowboys, Writing and tagged beach, blue, Carthage, Hammamet, Sidi Bou Said, terrorism, travel, Tunisia by Jadi Campbell. Bookmark the permalink. What a fabulous post! Your pictures are just gorgeous–I feel like I’ve just been there too. Thanks Barb! I wanted to write a HAPPY post. There is so much there to celebrate. 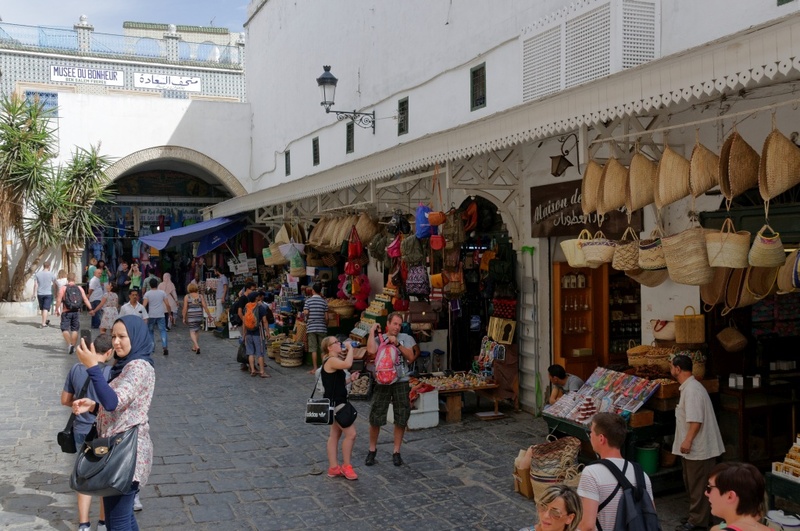 I thought Tunisia was wonderful – and still think that. 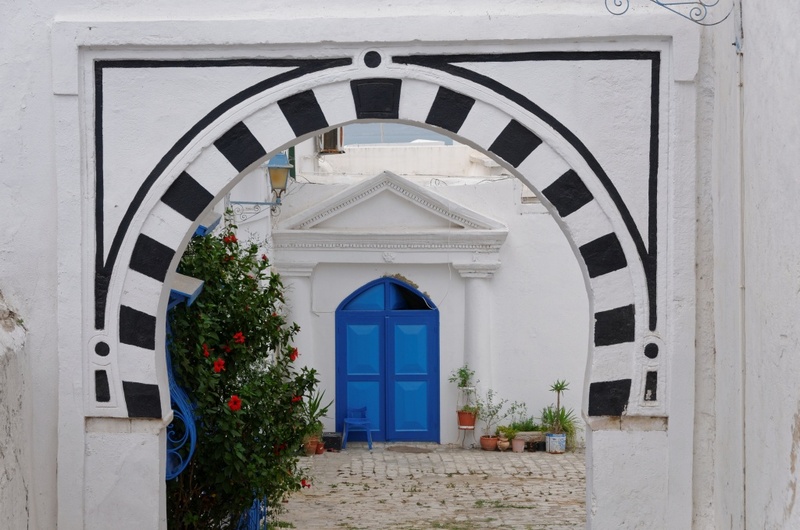 Beautiful photos….Sidi Bou Saïd is amazing…..I have never been, but now I need to get over there! You look great too! Jadi, It is indeed heartbreaking that ideology so often trumps compassion and basic acknowledgement of shared humanity. 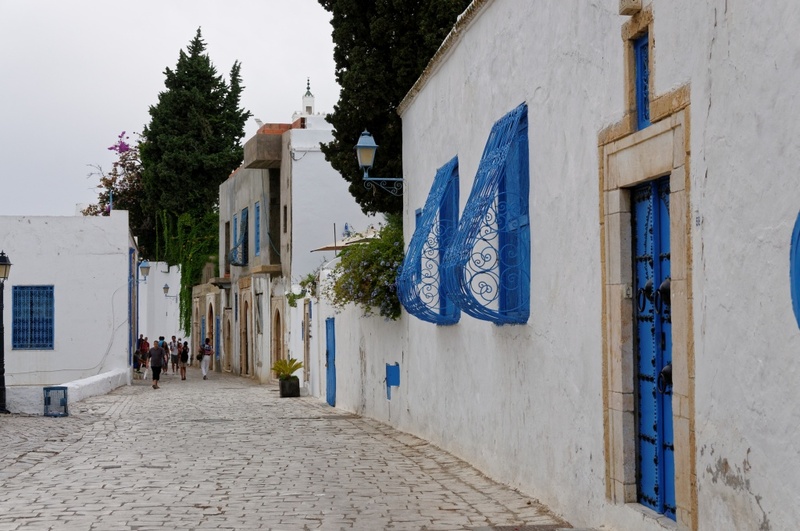 I would love to visit Tunisia, to meet the people and the nature; Perhaps someday. Such a heart warming, eye feeding, post! Thank you as always, Michael. After the massacre on the beach so close to where we stayed I wanted to write something. And I knew for sure I wanted to write about the kindness and beauty we were met by. It seems like the best way to answer the tragedy. I’m still beyond shocked by what happened. Absolutely love all the blue! Great photos. So sad what happened there. I try to keep the images of the beautiful buildings and warm people in my mind. Beautiful descriptions and photos. The world just gets more bizarre all the time. The news is so sad when you see all those families doing every thing they can to find a peaceful place to live their lives. 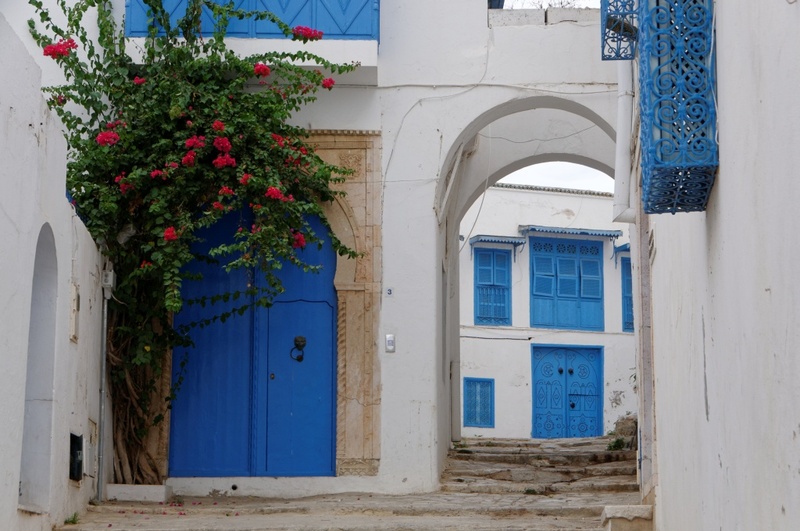 Such beauty in Tunisia, breath taking. I agree, Judy. I feel a serious disconnect between what Uwe and I experienced and what happened just a few weeks and months later. It was very beautiful! I’d love to see more. Have you spent much time there? Oh I was looking at the beauty in your photos. No I have not been there. Even with the ugly aspect of the news, this looks like a wonderful trip. 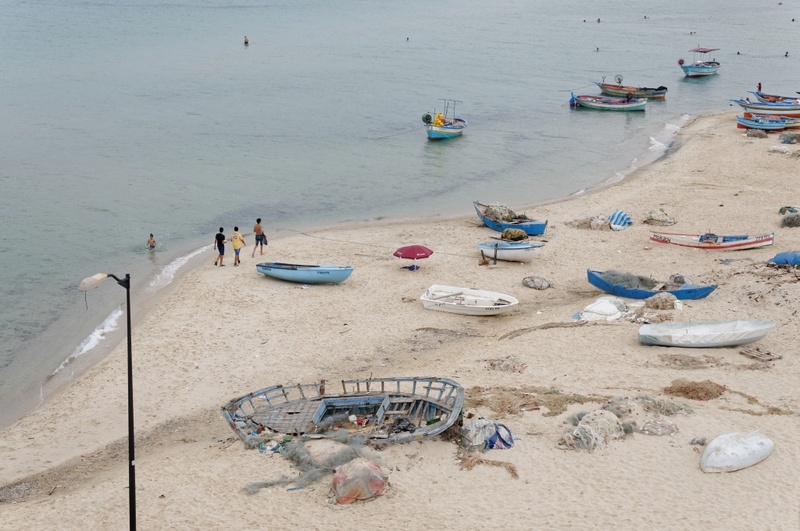 Cheers to your willingness to visit Tunisia. I know we wouldn’t have made this trip just a few weeks later. I’m glad we did, and I’d love to go back! One place I always wanted to visit…. still on my list. Glad to hear Tunisia is still on your list!